The Economic and Financial Crimes Commission (EFCC) has explained the siege to home of Deputy Senate President, Ike Ekweremadu. 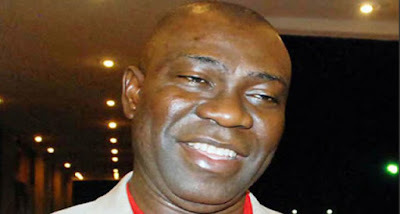 In a letter yesterday, the EFCC said Ekweremadu was under investigation for alleged conspiracy, abuse of office and money laundering. Senate President Bukola Saraki’s aides had shared the content of the letter; hours after EFCC operatives joined those of the Department of State Services (DSS) to lay the siege. The deputy senate president has been under investigation by the EFCC for allegedly owning questionable properties abroad. He was also arraigned for supposedly forging Senate standing rules to pave way for the emergence of the Senate president in June 2015. It added that the request was brought pursuant to Section 38 (1) of the EFCC Act. Meanwhile, a pro-democracy group, Human Rights Writers Association of Nigeria (HURIWA) has urged President Muhammadu Buhari to stop using security forces to scuttle the independence of the legislature. HURIWA, in a statement by its National Coordinator, Emmanuel Onwubiko, and the National Media Affairs Director, Miss Zainab Yusuf, urged Nigerians to defend democracy to prevent the disruption of the National Assembly. The group said it was illegal to deploy armed security forces to restrain principal officers of an arm of government from accessing their offices. According to them, the act is a sinister plot to instigate internal rebellion to cause a regime change in the Senate. It called on the international community to tell Buhari not to use his second term ambition to cripple democracy in the country. Also, a non-governmental organisation, Civil Rights Realization and Advancement Network (CRRAN) has warned that the invasion has moved Nigeria from democracy to anarchy.